We have hand-selected the true essence of the Great North Woods - large, long and straight logs destined to be part of your family's heritage for generations to come. 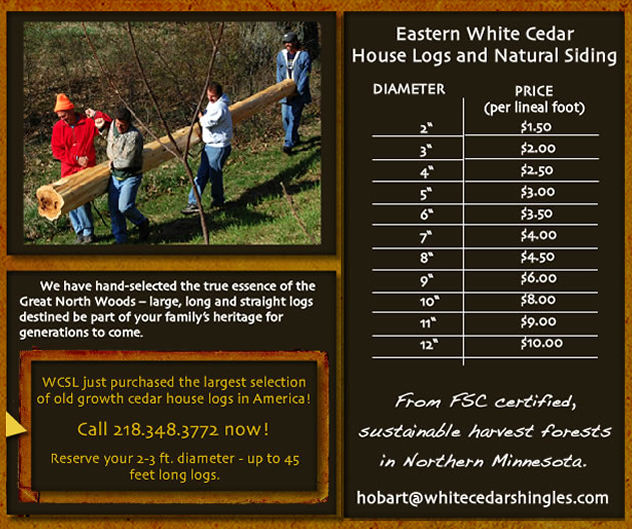 WCSL just purchased the largest selection of old growth cedar logs in America! Call 218.348.3772 now! Reserve your 2-3 ft. diameter - up to 45 foot long logs.